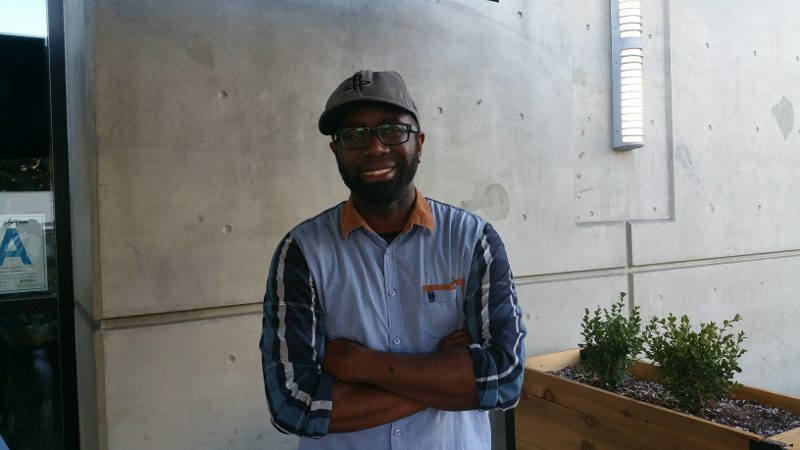 Youthful, passionate, energetic, driven, professional, tasty….these are just some of the descriptions that come to mind about Baldoria in Little Tokyo. Baldoria, which is Italian for a “revelry, merrymaking, a good time,” is a restaurant that is celebrating the good things in life. It is about small plates and shared plates; it is about good food, good wine and good drink. This little neighborhood gem is also about friendship and fun. It is owned and run by David King, Duke Gervais, Matt Bostick and Aaron Justice. 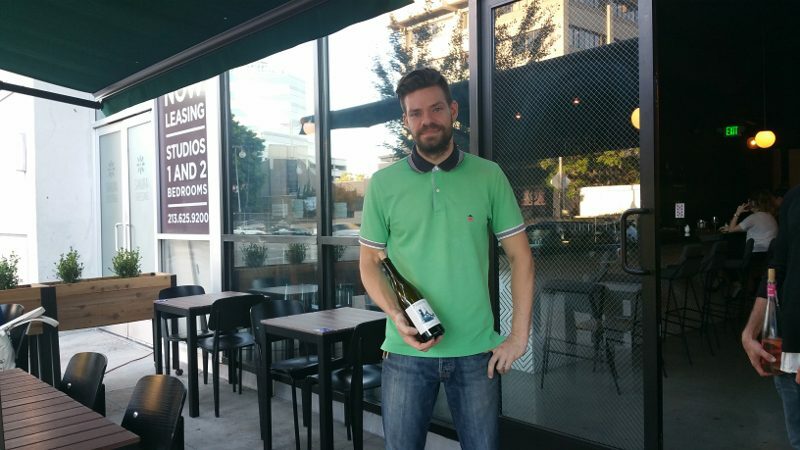 Owner David King previously worked as a sommelier at Mozza and was the beverage director and partner at Cube. It was at Cube that he met chef Duke Gervais and Aaron Justice, who oversees the front of house at Baldoria. 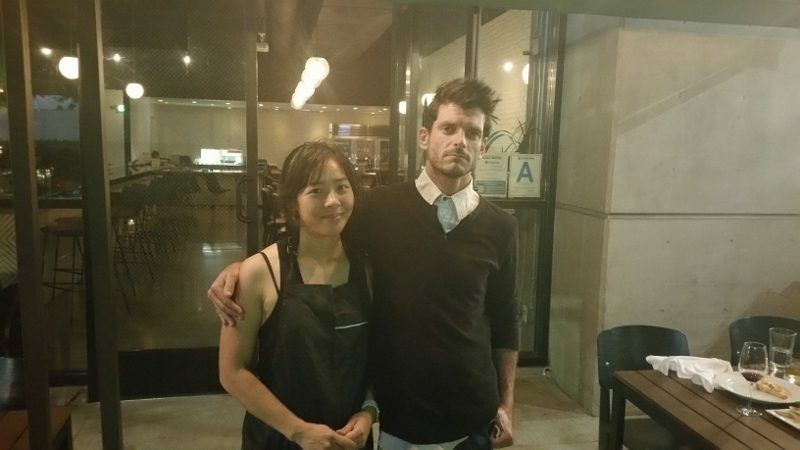 It was at Mozza where King met Matt Bostick who is the beverage director at Baldoria. Baldoria has only been open a few months but the level of professionalism makes it seem as if the restaurant has been open for years. It is because these four guys, who are all in their early 30s, have such great respect for each other, as well as respect and passion for what they are doing. They come from fine dining backgrounds which is reflected in the professionalism and seamless service. 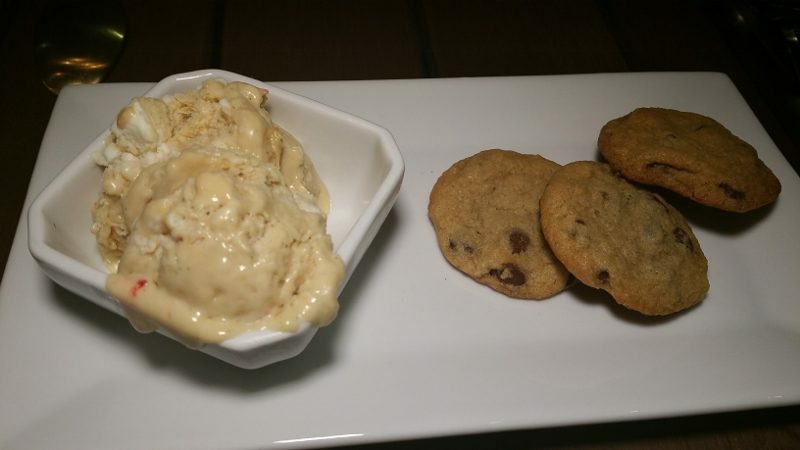 The casual restaurant, which does not take reservations, offers a menu of Italian and Mediterranean dishes. It is elevated cuisine that you can eat with your hands. There are “no-meat” dishes, “meat” dishes and pizza. 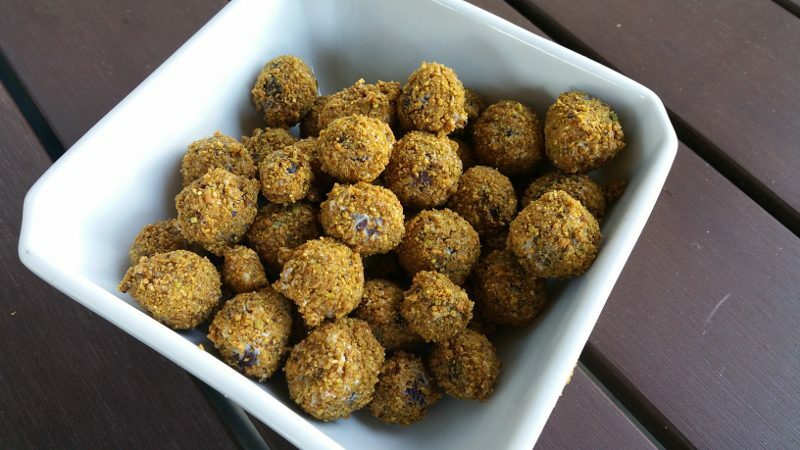 Pistachio crusted grapes with grogonzola piccante crema – Bite into these little gems and expect warm and crunchy but get fresh sweet grapes with gorgonzola to add to the intensity. 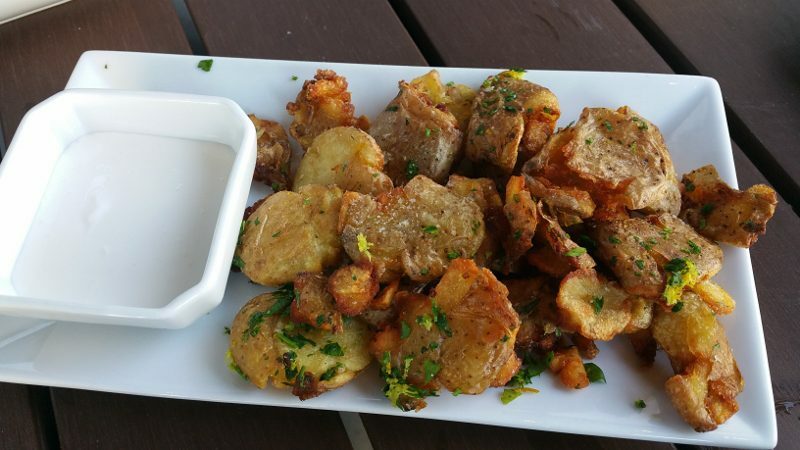 Smashed fingerlings with gremolata – The fried Weiser Farms fingerling potatoes are yummy crunchy bits and it is hard to stop at just a few. 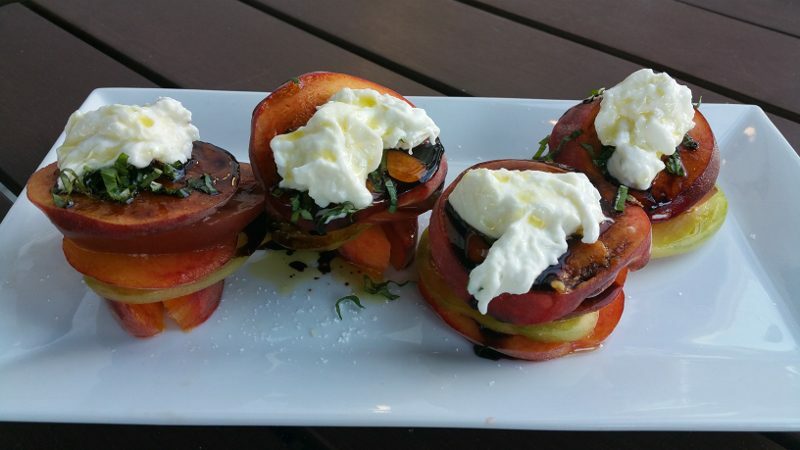 Heirloom Tomato and Peach Salad – Super fresh Regier peaches and juicy heirloom tomatoes with fresh Mommo’s burrata and 6-year balsamic make an ideal summer dish. 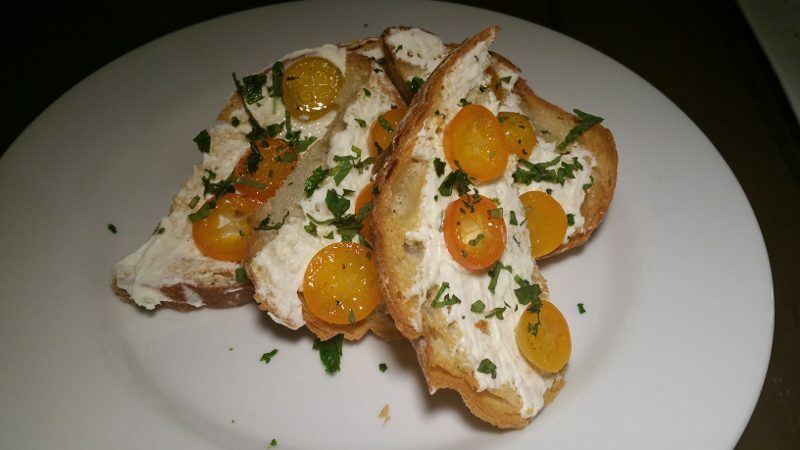 Ricotta toast – The fresh ricotta and vanilla kumquat compote with mint was saved for the end of the meal as, while it is not sweet, it was bright and fresh. 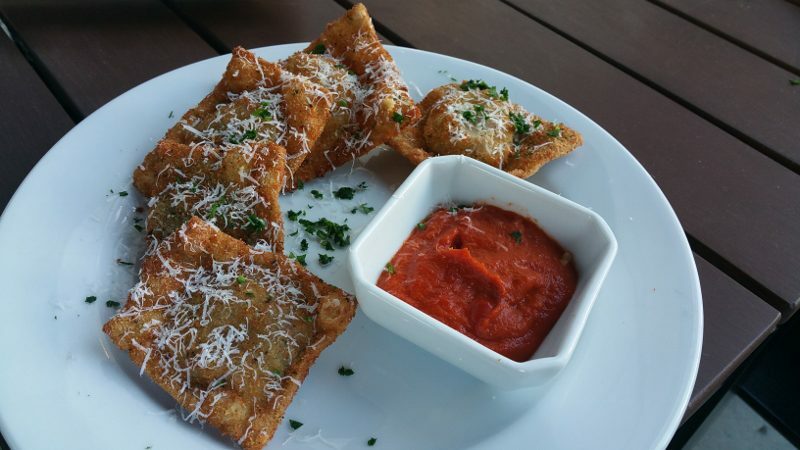 Fried Shortrib Ravioli – Like wontons, the housemade ravioli, stuffed with shortrib, are fried and topped with grana padano. Now fingerfood, dip them in the spicy arrabbiata sauce and enjoy! Carribean Spiced Duck Wings – Chef Gervais explained that duck wings are not classic and can be harder to work with than chicken. He confits the duck wings and they have a Carribean Spice rub. Gervais is Italian-trained but he adds a little Carribean flavor to this dish. 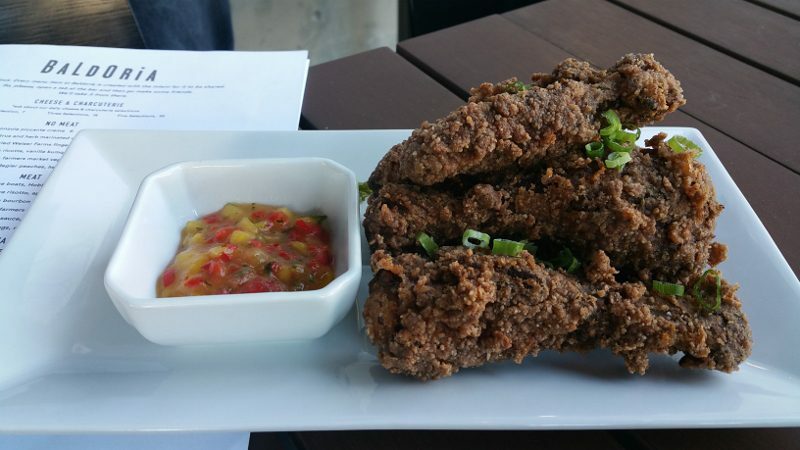 The spicy wings are toned down by the sweet mango salsa. Pizza – The pizza is made with a three-proof crust. Gervais studied different dough styles and found that cold proofing, slow fermentation and letting the dough rise three time, all which takes two days, gives the dough a more complex flavor. 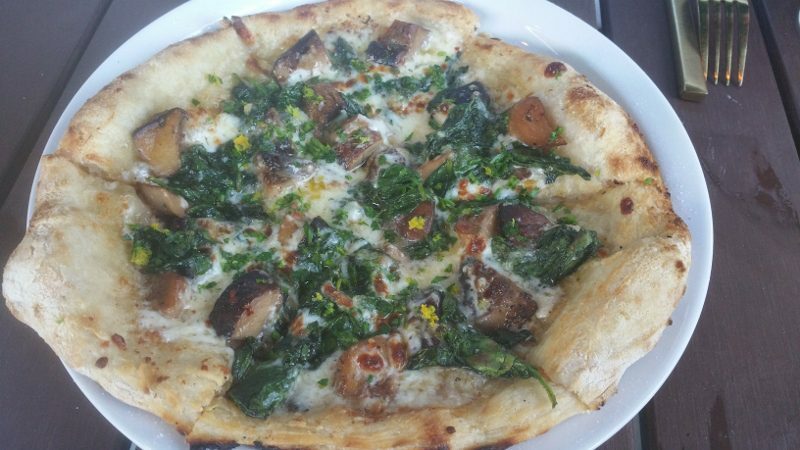 Wild Funghi Conserva – This mushroom pizza has shitake, cremini and king trumpet mushrooms, as well as taleggio and gremolata, but it is the Bloomsdale Spinach that adds an extra touch. 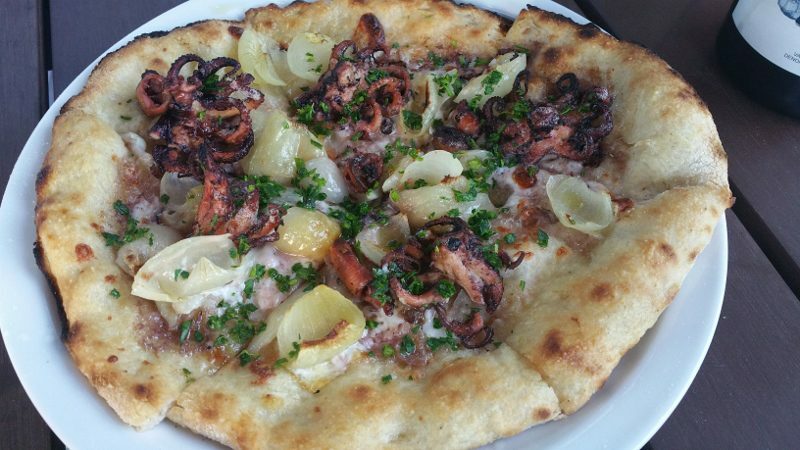 Charred Octopus – I never would have thought of octopus on pizza but the tender baby octopus with caramelized cipollini, charred radicchio cream sauce and fontina cheese made me feel as if I was sitting on the coast of Liguria in Italy. 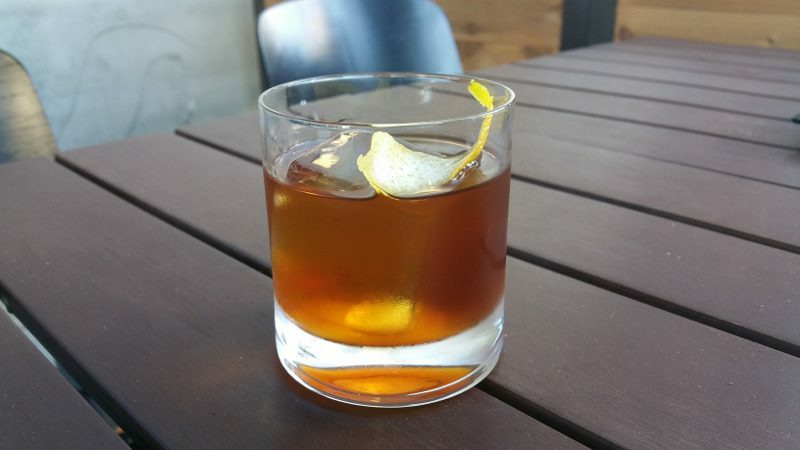 Sweet Mary – Another combination that I would never think of and yet it works better than you would imagine. 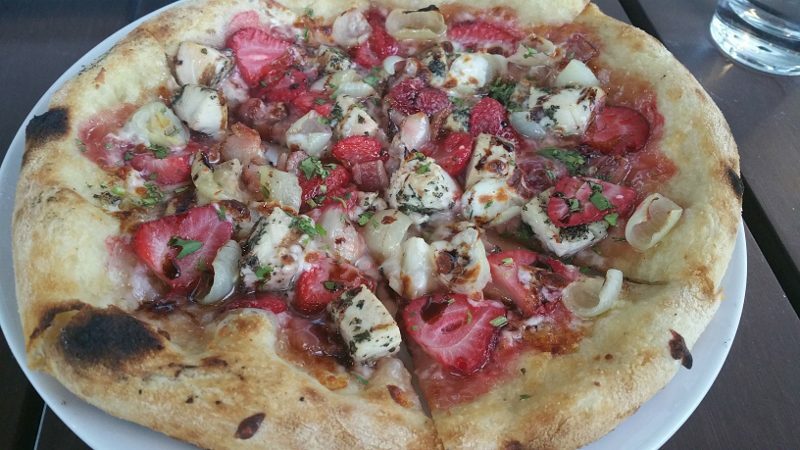 Mary’s Chicken breast is paired with organic strawberries, strawberry jam and balsamic that add sweetness and applewood bacon and cipollini for savoriness. 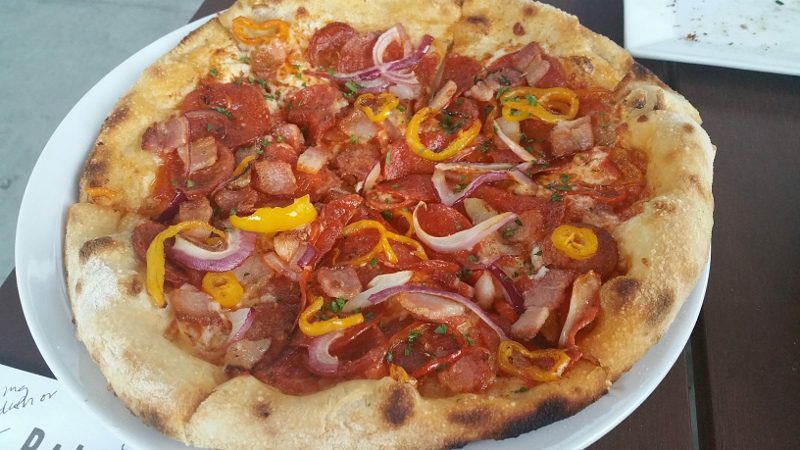 Carnivoro – Sweet heat is in this pizza with hot Calabrese sausage, pepperoni, smoked bacon, red onion and sweet cherry peppers. 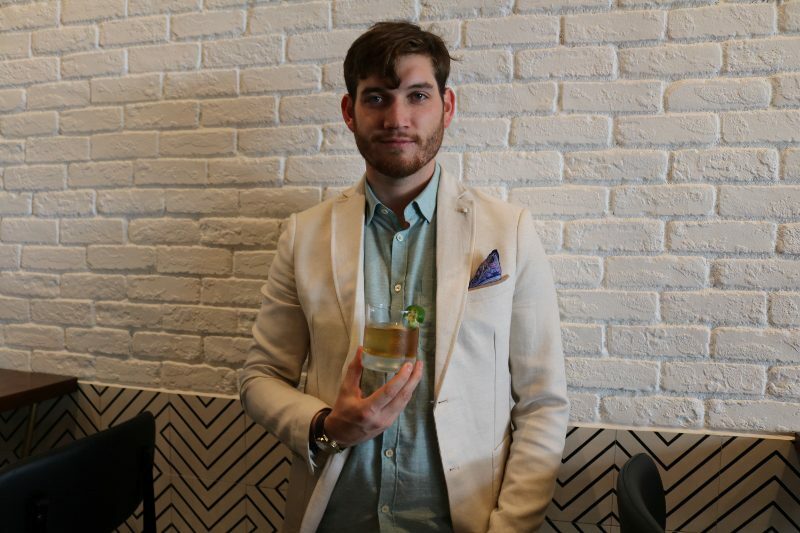 Matt Bostick has created a bottled cocktail program. 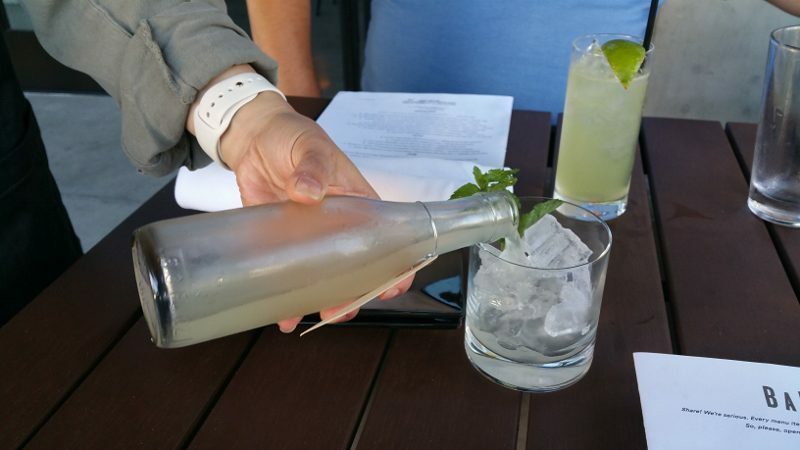 These drinks offer a more complicated quality product with quick service. The cocktail selections changes regularly. The wine list focuses on “island” wines. These are wines from volcanic soils that have beautiful minerality and crispiness. Ulacia Getrariko Txakolina Rose, Getaria, Spain 2015 – This wine screams summer with notes of bright, fresh notes of strawberry. 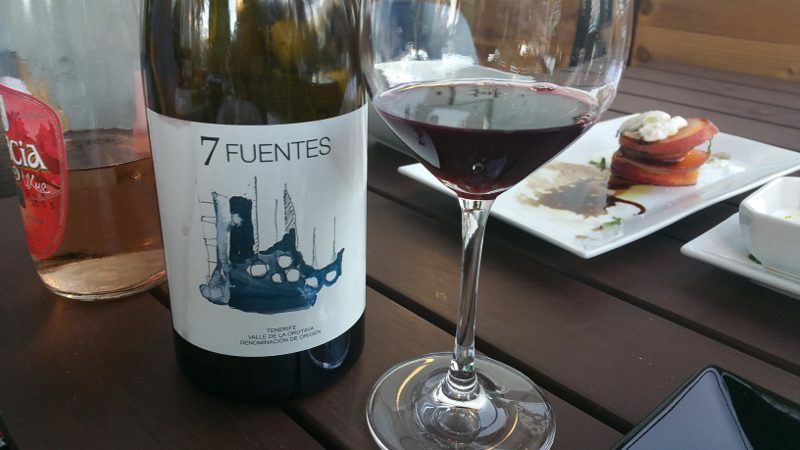 Suertes del Marques “7 Fuentes”, Canary Islands, Spain 2014 – This wine has notes of dark blue and black fruits, minerality and a smokiness that makes it a meaty wine. 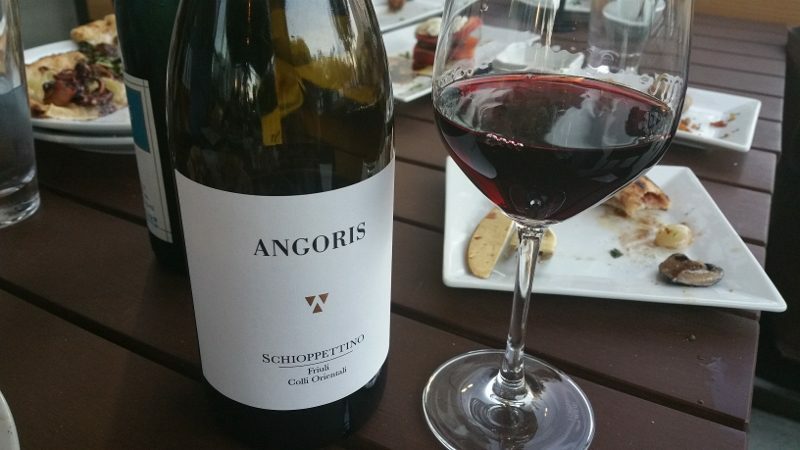 Angoris Schioppettino Friuli 2012 – With aromas of rich blue and black fruit, this wine has a gamey/black earth undertone. After all of the wine, food and cocktails, we finished with a light Organic Strawberry Semifreddo and fresh chocolate chip cookies. 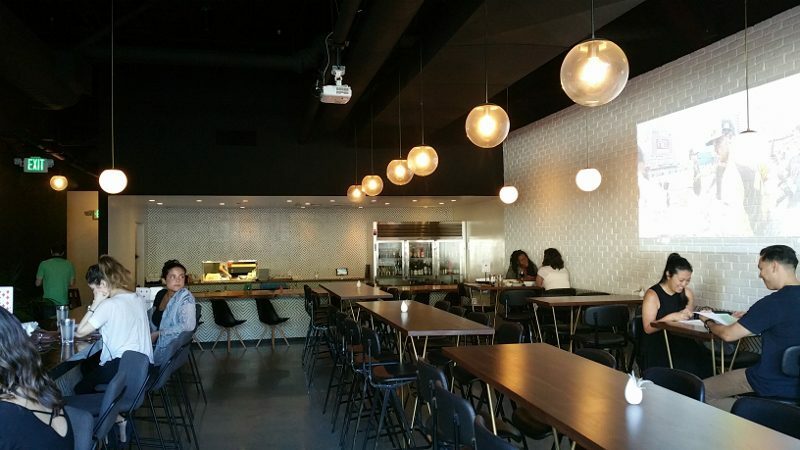 Baldoria may not take reservations but put it on your schedule. It is a casual, neighborhood restaurant but with the fine-dining training of the staff, your experience will be exceptionally memorable. This entry was posted in Cocktails, Food, Wine and tagged Aaron Justice, Baldoria, bottled cocktails, Cocktails, David King, Duke Gervais, food, Little Tokyo, Los Angeles, Matt Bostick, restaurant, Wine by Allison Levine.